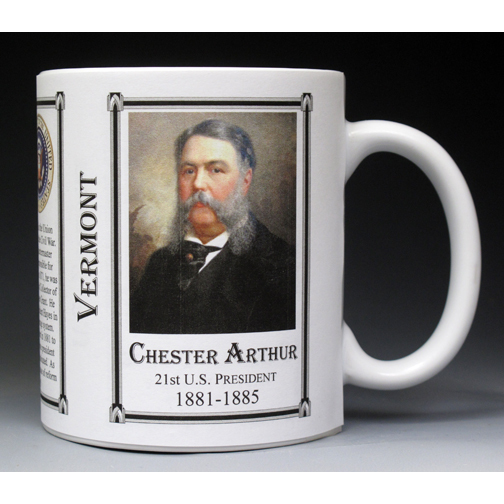 Chester Alan Arthur was born in Vermont but grew up in New York where he became a lawyer. 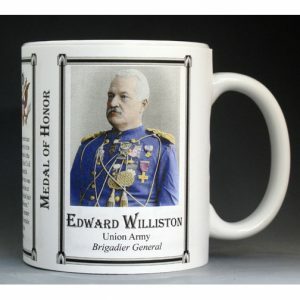 A brigadier general in the Union Army, Chester Arthur did not see combat in the Civil War. 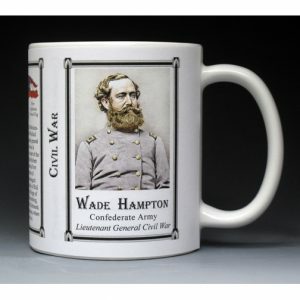 Arthur was assigned to the Quartermaster Department, where he was responsible for housing and outfitting troops. 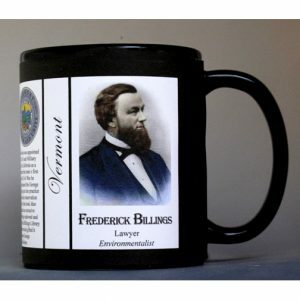 In 1871, he was appointed to the powerful post of Collector of the Port of New York by Ulysses Grant. 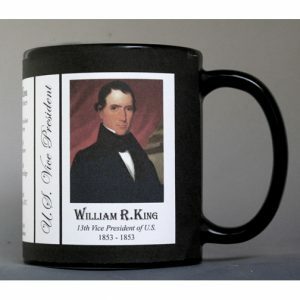 He was fired from that post by President Hayes in an attempt to reform the patronage system. 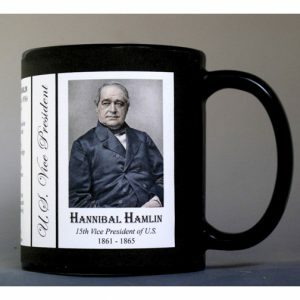 Arthur was elected vice president in 1881 to balance the ticket, but he became president when James Garfield was assassinated. As president, Arthur took up the cause of reform and rebuilt the navy. 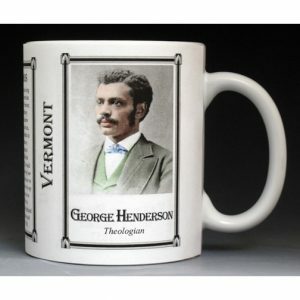 This Chester Arthur History Mug is part of our Vermont series which includes many unique individuals who played an important part in molding Vermont’s history.